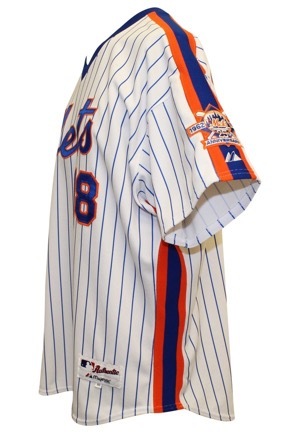 Majestic manufactured size “50” Mets reunion ceremony-issued throwback jersey. 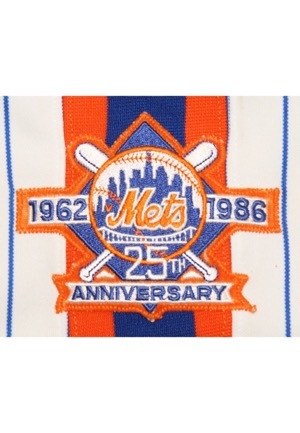 On the left sleeve is the “1962 1986 Mets 25th ANNIVERSARY” patch. 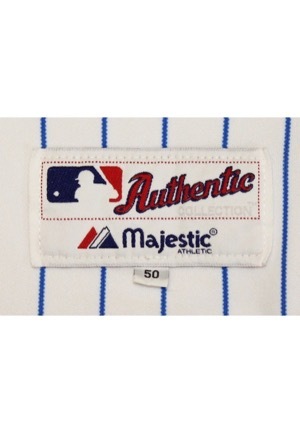 Across the chest is “Mets” in script style writing. 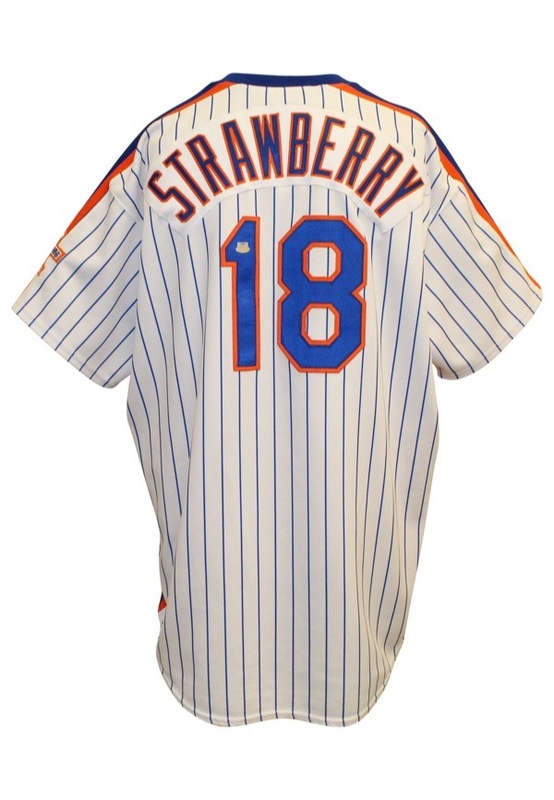 The player number “18” is on front and back and across the back is the player name “STRAWBERRY”. 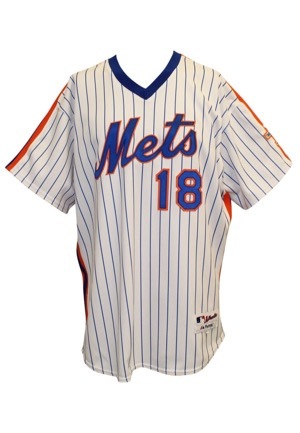 All numbering and lettering is done in glacier on orange tackle twill. 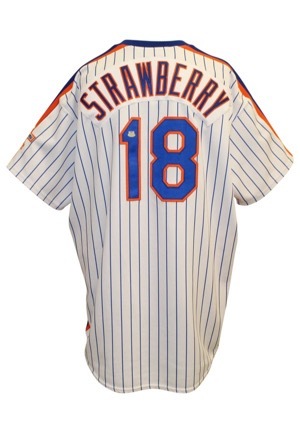 Accompanied by a LOA from Steiner.